Basically speaking, a paint protection film is a plastic wrap for potentially damageable regions of your car – lower fascia, side mirrors, rocker panels, and basically any surface facing directly toward the front/bottom of the car. The main use for a clear bra is, of course, to protect these areas from road debris that might kick up on the road and would otherwise leave a nice scratch or chip in your paintwork. As one of the earliest established car detailing companies we have a profound knowledge and understanding through hands-on experience of some of the rarest and most valuable motor vehicles in the world. Now you don’t often see these treatments on “average” cars because it generally costs somewhere between $900-$2500 depending on how many panels you want done and your car… remember, these things are typically custom cut (or made from a schematic of the vehicle) and hand applied. At first, all seems to be well with the clear bra treatment. Overtime, however, the story begins to take on a new face – and I do mean literally. Almost every single clear bra wrap I’ve seen has turned a yellowish opaque color after a few years (depending on quality, and therefor price). Now maybe this doesn’t concern you, but if you’re going to put something on your paint to protect it, it better not ruin its looks. Next, while this plastic shield protects your paint, the bra itself is taking a beating. UV rays, scrapes, chips, and more are all extremely common on clear bras. In the past, we said that regular waxing would be enough to keep your car’s paint in good shape. That’s simply not true. Wax doesn’t protect much because it doesn’t last more than a month. It’s not scratch resistant and it does nothing other than provide beautiful gloss. Additionally, wax is out of the question when it comes to matte paint. We’re matte paint care experts so we have to mention the flat finish. Fortunately, the issues of yellowing, fading, and discoloration can be avoided entirely if the paint protection film is properly protected. Isn’t protecting a protective film redundant? No! The film protects against scratches and a coating like Formula 1201 (or Matte Paint Coating to protect XPEL Stealth) keeps the film in great shape. So, the absolute best way to keep scratches from damaging your paint is to get a clear bra and then apply a nano coating on top of that to keep the film from discoloring. Shopping for a car is something people have to do sometimes, and a lot of us dread doing it. It is not easy to learn about all that is available in the auto market, information on the best prices and negotiation techniques. This piece offers terrific tips to make car shopping much easier. Pure carnauba wax has the highest melting point of all natural waxes and is widely accepted as the hardest commercial wax known to man. Scour the Internet for the best deals. You can save a lot by doing some research online. If you find a car you like, you can ask your dealership if they can obtain it for you to buy. You may even consider making the trip to buy the vehicle yourself if it will save you quite a bit of money. Check out how much repairs on a car would cost before buying it. You should be able to get a fair idea of what kinds of costs you will have to pay for repairs. And that’s not just for when it is under warranty. What happens when you have to pay full price for an ignition coil? Different cars cost different amounts, so find out. If you know what kind of car, you want, and you know what dealership you want to go through, give them a call before you go. This way, the dealer can have the car ready for a test drive when you get there. It will save you and the dealer time that could be spent negotiating. Before committing to a new vehicle, check with your insurance provider for an estimate. While it may seem realistic to keep up on car payments, the added cost of insurance might put you over budget. Explore your options to find the best possible price tag with the lowest, most affordable insurance rates. 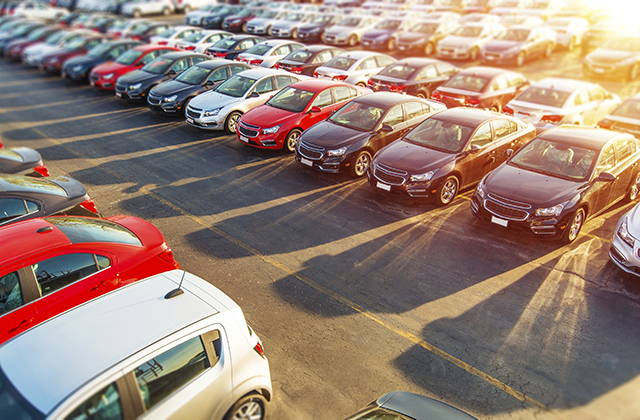 Take the time to find the car that you want before heading to the dealership. Learn about the available options for that car. Furthermore, research to find out what other consumers are paying for that car with the options that you want. This way, you can better be prepared to get the dealer to sell you the car for what it’s worth. It can be hard to find the right car at an affordable price. Going in knowing a few things will help you out. Use the information here when you go to purchase another car. You might surprise yourself with the deal you’ve been waiting for. You are in the car dealers display room. You have just accepted purchase a brand new auto. You enjoy that you have discussed a terrific price and you have trembled hands on the take care of the salesman. He welcomes you to sit down in order to fill out the documentation. However, prior to he doings this he begins talking to you regarding car paint protection. Even if the paint looks fairly defect free, as part of our regular new car paint protection treatments, the paint will be expertly polished to burnish the finish and ensure the very best gloss is present before applying carefully selected products of the highest quality to seal in and protect that finish. You re assuming Hold on. I’ve just acquired a brand new car. Why does it need its paint protecting? Exists glitch with it?. You may be relieved to recognize that there is nothing incorrect with the paint on your shiny new motor vehicle. When you drive it out of the showroom it is going directly out into the Australian weather and, unless you have a garage, that is where it is going to remain until either you sell it, or it comes to the end of its life. Safeguarding vehicle paint on new vehicles is merely good sense. Why Does My Car Need Protection From The Weather? There are two or three ordeals that endure can do to your car s paint. The ultra violet rays of the sunlight can create oxidation and untimely fadng of the paint in a similar fashion to the damage they could do to your skin. The sun in Australia could get very hot and, compared with a gloomy nation like Germany, for example, shines for much more hrs annually. Acid rainfall will certainly additionally have an effect on the paint surface area. A hailstorm can do harm. If you live near the coast, you will certainly usually discover on a gusty day that the auto is covered with salt which has been blown off the sea. If you park near the water s edge your vehicle can acquire covered in sea spray. There most definitely is. Birds. A straightforward bird dropping could create harm to your paintwork within an issue of a couple of days. Without entering too graphic biological information, bird droppings originate from the digestion system of birds and commonly contain high amounts of acid which, of course, will certainly damage the paint. Quite usually, you may simply not notice bird droppings, or you could discover them and believe to on your own that you will clean them off at the weekend through which time the harm could have been done. If all that wasn’t enough there is then the little issue of damage created by particles rocks, grit and so forth- thrown up by various other vehicles when driving. It isn’t a concern of possibly your paint will certainly obtain harmed, it is simply a concern of when. A significant variety of windscreens are harmed by flying objects every year, yet far more stones will strike the front of the car. You could possibly be unlucky and obtain your very first paint chip a mile from the display room! Protecting car paint on brand-new automobiles adheres to the well held concept that prevention is far better than treatment. There are a number of perks, not the least of which is that an auto with best paintwork is going to fetch a far much better cost when it concerns time for marketing it on and purchasing a brand-new one. Another benefit is that, while you still own it, your automobile searches in display room disorder at all times given that it IS in display room problem. It is in much better than display room health condition. Also an older motor vehicle can be changed into an ordeal of beauty when provided a new lease of life with paint protection. There definitely are. With a good paint protection on your car you will discover that it is simpler to wash, because dirt and gunk will remove more quickly, in addition to lifeless flies, insects, etc, therefore saving you time. An additional advantage is that there is not any kind of necessity for polishing. Why Should not I Simply Utilize Wax? It Would certainly Be Far Cheaper. There is definitely no question that wax will offer your new automobile a great luster. Nonetheless, vehicle wax is called that since it is greatly comprised of wax. As everybody recognizes, wax thaws in warmth. The hotter it gets, the faster the wax melts. Under the warm Australian sun the wax is going to melt earlier rather than later, meanings that it will shed luster and be prone to trapping dust and many others pollutants. Wax will eventually wash off your auto leaving the surface area of the paint unprotected. Some car waxes could really remove the top layer of paint and it is as well to keep in mind that your vehicle has a limited variety of paint layers. In most cases you can. As with several things in life, you are much best off obtaining the work done expertly. To start with, if you apply paint protection yourself you will certainly not obtain any type of warranty for the basic factor that the maker of the item you are using doesn’t recognize whether you will apply it correctly. In fact, one really widely known producer which offers a service warranty on the item particularly states that their product has to be applied by an accredited installer or their service warranty is void. Many expert bodywork specifying companies will provide you a guarantee for the work that they do. This gained t extend to points such as accidents or dents induced by physical impact of rocks, and so on. The Car I Am Buying Has a Ten Year Service warranty On The Paintwork. Absolutely. It might well have. You ought to examine out the little print. The paint itself could have a warranty, however if you review the owner s manual you will certainly almost certainly view that it is a condition that the paint is protected by waxing at regular intervals! It is additionally remarkably unlikely that this would certainly cover marks from acid or bird droppings, and from chips caused by stones regurgitated by many others automobiles. Merely Inform Me The Advantages of Paint Protection Again. Sure. What you are getting is a vehicle that is visiting look in better compared to display room disorder all the while you have it. You gained t have to wax or brighten it. Washing is quicker and simpler. When you come to offer it you will get a far better price for it because it still looks best. You couldn’t truly request much more from any type of product. Learning about auto repair may seem daunting endeavor if you’re not sure how to begin. The following article will give you get started.This article can set you save time and saving money. To prevent permanent damage to the paint, limit this method of polishing to once a year and wax your car every couple of months and use the car polisher that you bought in waxit.com.au. Ask questions to the mechanics who inspect your car when you bring it in for repairs. Preventing vehicle issues can save you a lot of saving money annually. You might not have to call a mechanic to fix your car problem. There are a few things that can fix easily yourself. If it is a basic issue, you can save some money by doing the repairs yourself. Ask mechanics if they have worked on your particular make and model of vehicle before. If they have done so, then you can trust them with your car. Go over your automobile’s manual and dog ear the most useful pages.You could even find that reading the manual can help you fix the issue. Don’t leave anything of value in your car while you’re having it repaired. Mechanics might have to empty the work and they aren’t responsible if you discover something missing. You want to remove items from your trunk. If your headlights don’t seem very bright, you may need to clean them. Use a reputable glass cleaner to wash them thoroughly. Replacing the bulbs on your taillights or taillight is much cheaper when you do it by yourself. While it’s easier in some vehicles than others, it is much cheaper to do it yourself. Ask whether someone you trust if he can show you how to fix these problems. Ask about labor rates and prices before hiring a mechanic. Some shops have their rates in conspicuous places, so read them carefully and be sure to ask about anything you don’t fully understand. You should understand how and why you are being billed for your mechanic. Some mechanics bill you for estimated labor times that are established by the manufacturers they work with. A lot of repairs that seem to be easy to fix could end up taking a relatively minor repair to be an all day job. You do not necessarily have to go through your dealership if repairs done. There are several reputable technicians all over the place. Find a mechanic who you are comfortable with and stick with them. Don’t let a mechanic insist that an engine flushed is normal maintenance visit. This is a pricy process that isn’t necessary unless you’ve done things to harm your engine care for some time. Don’t trust any parts that a promise of lasting a lifetime. This is often just a scheme for the business to take as much money as possible from you. One example is that some vehicles say their transmission fluid.While this does not need to be changed as often as typical fluid, you will still have to change the fluid every 80,000 miles. If you are happy with the work done at a particular repair shop, return to them each time you need another repair job on your vehicle. You may also become eligible for discounts because you are a loyal customer. Ask your old parts when they’re replaced. This can help you feel comfortable that the repairs were actually done. This isn’t particularly necessary for exhaust system changed.It is not hard to see if a brand new exhaust system has been replaced. Do not put regular water for the windshield wiper reservoir. Water is going to be able to clean off your windshield, but since the system requires that specific fluid, you could damage it. You should check the level in the compartment and refill needs. Do not insist when the compartment is empty. Choose between getting your car fixed by a dealership or an independent repair shop. Independent repair shops are the cheaper option, but you could hire a company that’s dishonest. Keep good records of work done on your previous repairs. Keep this log in you car. This can help the mechanic figure out any problems you might have. It can help save time when diagnosing issues. Take your mechanic for a drive to show him the exact nature of your car’s problem. This will allow your mechanic to see the same problems that you are having. This is a better way for them to determine the problem instead of just telling them. If a mechanic suggests that you need work beyond what your owner’s manual indicates, then you should just follow the manual. This will allow you to save some money when repairs that you’re not doing repairs that don’t need to be done. Check the drive axle boots often for leaks. These protect drive axle joint. 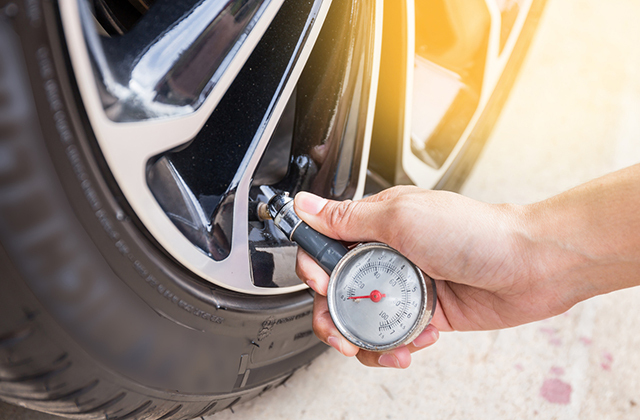 You can inspect them by turning the wheels of your tires and peering behind them. Learn what warning signs appear when your car needs work. Keep this article in mind the next time you are thinking about taking your car into be serviced. Keep this advice in mind when your car has problems. 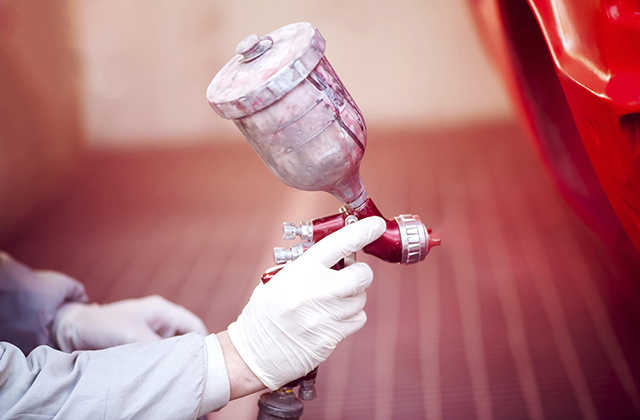 You may know how to effectively repair your automotive paint if and when it suffers from scratches, but an even more important bit of knowledge is how to protect your auto paint against scratches and other threats in the first place. Not only will car paint protection save you effort, time, and money, it will help to ensure the long-term value and safety of your vehicle. There are many forms of vehicle new car paint protection, all varying in how they are applied. 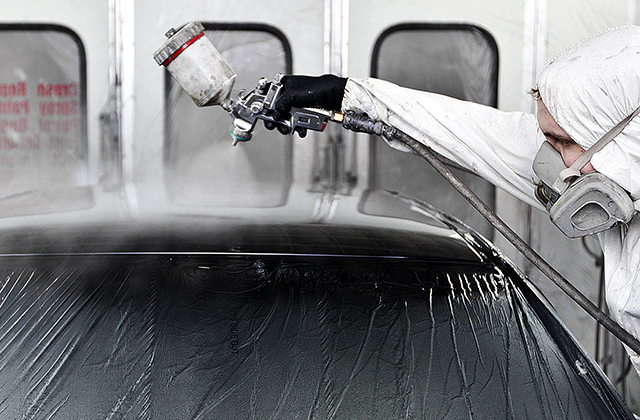 One of the simplest answers to the question of how to protect car paint from scratches is clear coat spray paint. Really, this is a second layer of paint for your car, since clear coast is exactly that: clear. The product is paint with no coloring, though it may contain some properties that help preserve the pigmented automotive paint beneath, such as UV protection. While a few vehicles have what is known as “single-stage paint,” which is an auto paint combined with protective enamel. 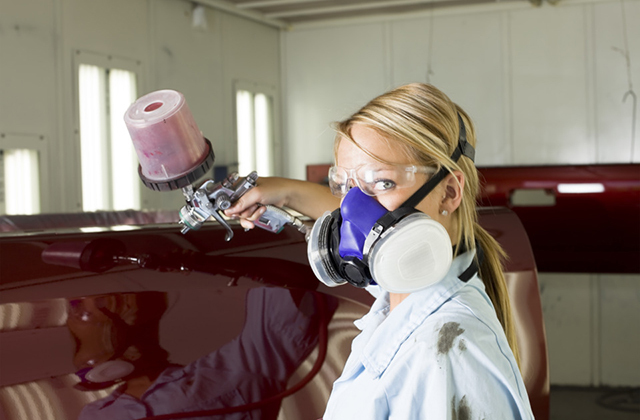 The vast majority of cars and trucks, however, have the two layers: a base with color and a clear coat on top of that. Like all automotive paint, the clear coat can be damaged by corrosive chemicals (like those found in bird droppings) and nicks and scratches. Clear coat spray paint can be used to restore the protective outer layer in areas where it has gone missing. This can be followed by an application of paint sealant, which is something like an amped-up car wax. Dealers may offer sealant, but as with many features available from the seller, you can also easily apply it at home. While these thin layers of paint and wax do create some vehicle paint protection, serious efforts to prevent scratches need to involve some thicker barriers. One of the most common and effective methods is the use of paint protection film. This is a thin layer of clear material, often only millimeters thick, that can be smoothed out over just about any stretch of surface on the vehicle, serving as a shield against flying debris, grit, sand, chemicals, and other auto paint-destroying elements. The focus is on what are known as high-impact areas, as these are the places where the automotive paint is most likely to come into contact with flying projectiles. Scotchguard™ 3M paint protection film is one option, and is cut to work with the curves and angles of various vehicles, conforming to the body to create a tight seal and providing auto paint protection while remaining virtually invisible. This film is also known as a clear bra, and can be found from several manufacturers. Another popular brand is XPEL®, which offers pre-cut kits that protect the bumper, headlights, fenders, hood, mirrors, and more. Common areas for 3M clear bra application include the bumper, the leading edge of the hood and bed; key spaces on the door, such as the handle, sill, opening, and edge; and the rocker panel and wheel flare. Advanced forms of automotive paint protection film have a “self-healing” capability that erases visible signs of many scratches, nicks, and dings. Installing paint protection film at home calls for similar steps as waxing and painting on clear coat: Ensure that the automotive paint is cool, dry, and clean. We mean really clean. Use an adhesive remover to eliminate all traces of gunk and goo on your auto paint, then use a glass cleaner to remove all traces of the adhesive remover. It’s recommended to do all of this on a day with no wind, as gusts could blow new debris onto an otherwise pristine car paint job. With everything clean, including your hands, apply a mixture of soap (3M recommends four drops of baby shampoo in 16 ounces of water) to the top and bottom layers of the section of 3M paint protection film to be installed, your fingers, and the surface of the vehicle. 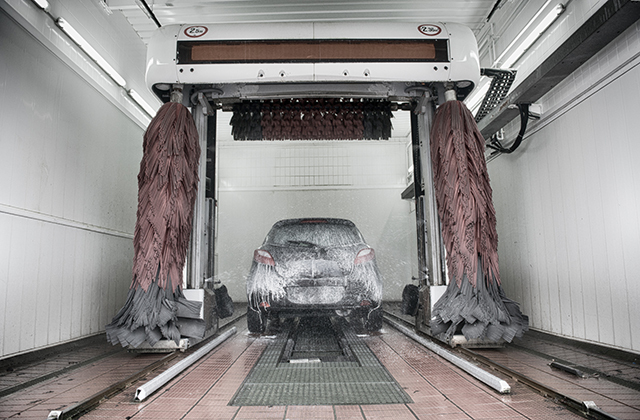 Follow a provided pattern guide to ensure proper placement, then carefully squeegee off all of the soap, pressing firmly to squeeze it out from between the protection film and the automotive paint itself. If the clear bra needs to be stretched to properly hug the surface beneath, spray a little mixture of three parts water to one part rubbing alcohol onto the center of the adhesive side of the film, then press it onto the desired location. This will hold the middle of the piece of film into place and allow you to press and stretch the rest with your palm and squeegee it once it’s in place. Be sure to keep everything wet with the soapy solution throughout the installation process, paying particular attention to your hands to avoid leaving any fingerprints on the paint protection film. Carefully wipe everything down and check for air bubbles or other places where the clear bra may have not fit perfectly. The film can be peeled off within a five-minute window and reapplied as necessary for best results. 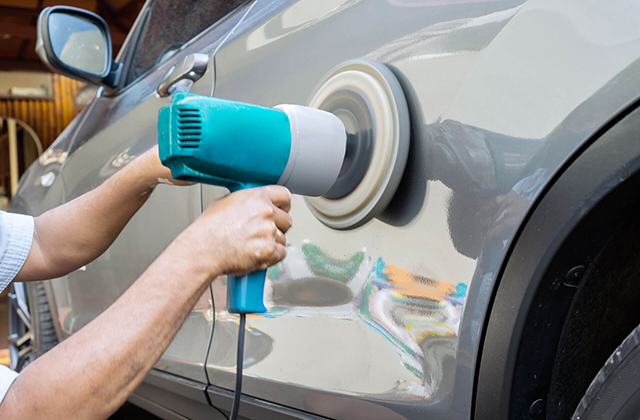 Once set, the paint protection film can be removed if desired, simply by lifting it and pulling it away from the body, possibly with the use of a steamer or heat source (such as a hair dryer) if necessary. Another automotive paint protection method is car wrapping, which is frequently done to give a vehicle a new look without applying a whole new layer of automotive paint. Car wraps are typically vinyl, and they cover the body by adhering to the existing paint job, as do many protective layers. People choose car wrapping to spruce up the look of their ride, changing the finish from glossy to matte or the color from dark to light. Since the vinyl can be printed with just about any graphics, vehicle wraps may also be used to advertise a product or service. Obviously, any layer applied over the automotive paint will serve as paint protection, though car wrapping probably works best as a choice for people who don’t just want to preserve their paint, but who want an entirely new look. Vehicle paint protection doesn’t have to involve the entire car from front to back, either. A particularly vulnerable area on cars and trucks is the door edge, where nicks, chips, and dings can happen whenever the door opens into something hard and unyielding. ProtektoTrim door edge guards from Cowles Products can be easily applied to any edge, offering a literal line of defense to keep the paint there looking as good as the day it was first applied—and preserving the integrity of the metal beneath. 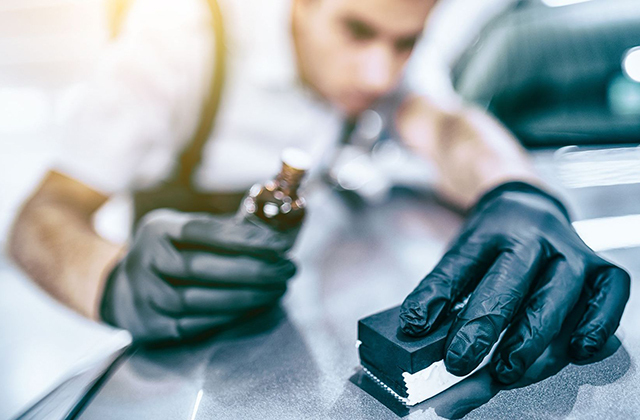 In this blog post, we inform you, whether you are a brand-new auto proprietor or a not-so-new one, on the key realities about paint protection items that are readily available on the market. By doing this, we believe you could make the best choice when selecting the very best protection for your beloved vehicle. Of course they are not. There are a number of sorts of paint protection items and they have differing top quality and rate. When getting car paint protection Melbourne folks need to not make the mistake of basing their decision entirely on the cost of that defense item. As an alternative, your decision on the kind of protection you select need to be educated by what it is that you would like to obtain. An item that provides security versus UV rays, bird dropping road salt, acid rainfall and bug residue all rolled into one is certainly a lot more costly compared to a product that only gives short-lived luster. Another ordeal is that different items offer differing degrees of luster. If you would like to buy a product that gives you a much longer radiate but needs much less upkeep, be readied to pay a couple of added bucks for it. Bulk of protectants that are offered on the market presently provide just restricted quantity of protection versus the aspects discussed over. Additionally, the majority of them do not supply enduring sparkle and require reapplication. Therefore, it is vital that you be careful of what you pick for your auto. Can car paint protection help keep your auto s worth in addition to resale worth? The paint job and appearance of a car will help in keeping not only its value yet likewise resale value. An auto that is well preserved with a mirror finish paint, has actually a raised resale worth. It additionally conserves you money and time now. With an excellent paint protection, a great deal of time is saved money on cleaning it given that crud and filth are conveniently removed. Additionally, it won t need waxing to preserve its appearance. What are some of the things you can expect from a good car paint protection? Among the main perks of car paint protection is that it includes genuine worth to the vehicle. An appropriate paint protection application could offer your car incredible glass luster and also maintain its worth. For these reasons, people are frequently ready to part with $1000 merely to obtain good paint protection. When done appropriately, there will be less waxing and the cleaning will certainly be much easier in instance your auto get filthy and should be washed. This translates to much more financial savings in future. Can your car s paintwork be ruined by merely bird going down? The response is of course. Possibilities that your automobile is getting harmed daily without you most likely noticing are extremely actual. Most people only think that the best danger to their car s paintwork is UV rays. While this is true, the damages follows several years. Bird droppings are nevertheless more prompt threat. They create damages in simply an issue of days. Bird droppings, as you know, are the product of a bird s digestive device. Without going too much into the field of biology, droppings can have high levels of acids which could damage the paintwork. Many people are stunned by the quantity of harm that could result from a bird falling. While it could go unnoticed to an untrained eye, a professional that recognizes just what he really wants in vehicle will quickly see it. Is auto polishing the best solution? Auto shaving is understood to provide instant shine, it is not the finest solution. The reason it is called wax is due to the fact that it is made from wax. And as you being aware, wax will melt when subjected to warmth. When waxed paint is utilized on your vehicle, it ends up being soft when subjected to warmth. This loosens shine as well as makes your automobile much more vulnerable to entrapping pollutants. It is remarkable for program autos since these do not rest in the sunlight for a whole day each day. Additionally, by its actual nature, wax seldom adheres to the vehicle surface area. Actually, wax could not stick well to any sort of surface. Simply try sticking wax to any surface area and you will view this. Similarly, wax eventually washes off of your vehicle, which will leave your automobile with less or no security at all. Just what are the many others points that you need to find out about car paint protection? The should effectively look after your vehicle, that is, specifying and washing, can not be overemphasised. Selecting credible automobile wash outlets and detailers is not simply important yet additionally protects your automobile from harm. Simply put, treat the paintwork of your car the same way you would certainly look after your skin. Anything that succeeded t damages your skin won t damage your automobile s paintwork. Another important ordeal is a first class vehicle shampoo. This reduces surface area damaging that arise from friction when the car is being cleaned. You additionally require a soft heap clean mitt or sponge and it need to be of excellent quality. If you wish a streak-free drying, you have no alternative but to insist on a terry towel or a leather chamois to dry your auto. Similar to anything else, you only acquire what you have spent for with car paint protection. 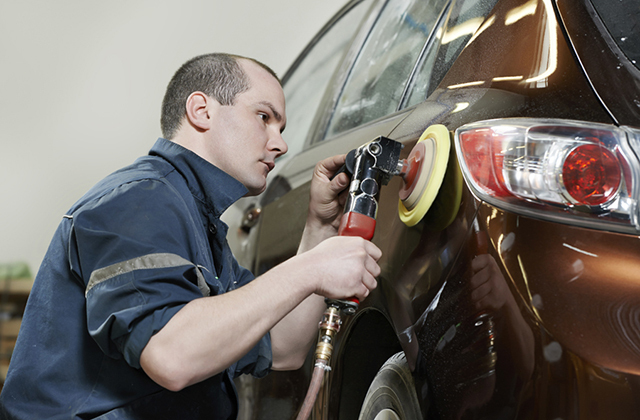 Consequently, it is essential to select the right place to clean or detail your auto. This should be assisted by the period of time it requires to wash your automobile safely and effectively. Have you ever been looking for a classic car and been to a classic car dealer and they have signs saying you mustn’t touch the cars or sit in them? How do they expect you to decide whether or not to buy one? When you go to see a classic car with a view to buying it, if you ask they will let you try it for size but you are likely to be only allowed to drive it around the block, under supervision. If you are really lucky, you will get to drive the car for half an hour or so. While this may be enough to assess the condition and value of the car, it is not enough time to decide whether or not you can live with a classic car. Is it comfortable – can you drive it for hours and not feel tired? Can you fit enough luggage in the car to go away for a weekend or a full week touring in a classic car? Can you cope without power steering? Can you cope without servo assisted brakes? Can you cope with a heavy clutch and a slow, heavy gear change? Can you cope with not having synchromesh on 1st gear? Is there enough leg room in the car? If the car is a convertible, are you prepared to put up with the hood leaking in the rain (very few of them fit properly)? As well as owning our current fleet of classic cars, over the years we have bought and sold a number of other classic makes and models, so have extensive knowledge of the trials and tribulations of buying and owning a wide range of classic cars. For many people the E-Type Jaguar is the archetypal British sports car. As a good one will cost you anything from £30,000 to £50,000 (or more) it is vital that you won’t regret your purchase after you have parted with that amount of money. An E-Type is a wonderful driver’s car; it is extremely responsive, with precise steering and very little body roll. It is also very comfortable whether you are just making a short journey or spending a whole day driving. Our E-Type Roadster has a limited amount of luggage space, just about enough for a weekend away. We have had quite a few customers hiring out our American cars as a ‘Try Before You Buy’ as they uncertain whether or not they will like driving a Left Hand Drive (LHD) car in the UK. For most people driving LHD can seem a bit weird. Obviously the driver is on the wrong side of the car and the gear lever is now operated with the right hand rather than the left. The pedal layout is the same so this doesn’t present a problem. Our 1965 Ford Mustang Convertible and 1978 Chevrolet Corvette are both automatics so getting used to these is really easy. Although the gear lever is operated by the right hand, mostly this is just a matter of putting it in Drive and off you go, keeping your left (clutch) foot firmly planted in the carpet. Our 1965 Ford Mustang Fastback is a 4 speed manual (four on the floor – as the Americans say) so gear changing is the same as in a UK specification, manual car, just with your right hand. The other problem is brain related and takes a bit of practice to get used to. You have spent years on the right hand side of the car, driving fairly close to the white line down the centre of the road, and your brain is used to this. Drivers therefore have a tendency to wander towards the middle of the road and it takes a bit of practice to nudge left and work out correct road positioning for a LHD car. The easy way to judge this is to run over the occasional drain cover on the left, without ending up in the gutter, and you can then be fairly confident that there is more than enough space on the other side of the car. The other issue, for which there isn’t a fix, is overtaking. Sitting on the left of the car, overtaking is a challenge as you can’t pull out a few feet to see past the car in front, to see if it is clear to overtake. The solution for this on normal two way roads is just to hang back, but on dual carriageways and motorways there is enough space and visibility to overtake safely so it isn’t an issue. We include a full information pack with all our cars and this includes magazine articles advising on what to look for in each model. So if you are thinking of buying a classic car, then come to us and rent one of ours for a day or a weekend before you buy one. Tony Merrygold of The Open Road is an expert in classic car hire having been in business in the UK since 1997 running The Open Road. Tony runs courses telling people how to start up a car hire company, having trained over 200 people over the past ten years. Combining his 20 year background in sales and marketing with his knowledge of the classic car hire industry, in early 2008 Tony launched a new web portal Classic Car Hire World – listing classic and sports car hire companies around the world. Within three months of its launch this site achieved a Google PageRank of 4/10 and was showing on the first page of Google.com when users searched for ‘classic car hire’. James Bond, the name is enough to glitter the eyes of children and vulnerable persons suffering from the exploitation of cruel people. Where the name of James Bond is considered as the strength of weaker and poor people, on the other side his name is not less than a synonym of fear for people who threaten the deprived people from their terror. The actual birth date of the Bond is although not known exactly, but it is speculated that his name for first time originated in front of world back in 1953 and since then he became an icon for every person. Craze of people towards Bond can be understood from the fact that despite of being a fictitious character people consider him as living person and expect him to come and protect them from problems. According to stories, he is appointed in British Secret Service working as spy and is always equipped with technically developed gadgets, prefers to live in style and loves to drive luxurious cars. Going through his passion towards expensive and stylish cars, he has a huge collection of cars parked in his garage including Aston Martin, Cello Case etc. Despite of being aesthetic, all these cars bestow supercharged engines, embellished with high defined weapons that are capable to recognize any risk revolving around Bond. An interesting fact about James Bond is that although he is a fictitious novel character which further emerged as a hero of various movies and video games, the personality of Bond has ruled over the hearts of people of all age groups. He has become the part of every body’s life and people keenly wait for him and are curious to know about every little factor associated with their super hero. Below is the list of some of the iconic cars which are found in the fleet of cars that are owned by James Bond. Aston Martin DB 10: Aston Martin cars often referred as Bond Cars have been an integral part of James Bond movies. The DB 10 is the latest infant from Aston Martin family which was driven by super spy in his latest movie SPECTRE released in November, 2015. Aston Martin DB 5: It seems, this is one of the favorite cars in movies starring James Bond. The car starred in five movies namely Goldfinger, Tomorrow Never Dies, Thunderball, Casino Royale and Golden Eye. Aston Martin DB S: The car made its appearance in movie On Her Majesty’s Secret Service. An interesting feature offered in this stylish vehicle was sniper rifle placed in the glovebox of car. Aston Martin V 12 Vangquish: This car can be said as replica of Bond, because as in the span of second he disappears from the eyes of his enemies keeping their eyes still. Similarly, this car also disappears without leaving any marks of its presence. Aston Martin V8 Vantage Volante: This car is blessed with features like rocket propulsion, spiked tires, self-destruct mechanism, side skis, convertible roof and many more all which are developed to satisfy varied needs of James Bond. Aston Martin DS SV 12: The interesting thing about the Aston Martin DS SV 12 was that it did not have any technically advanced gadget mounted on it, but it had medical instruments which were helpful in protecting the life of Bond in movies Casino Royale and Quantum of Solace. Apart from Aston Martin, cars from British car maker Bentley have been also driven by James Bond in different movies. Bentley Mark II Continental: This expensive car integrated with a 4.9 litre engine, black colored interiors and Arnott supercharger which exhibited its charm in movie Thunderball. Bentley Mark VI: The car made its appearance in last scene of movie Moonraker. The eye-catching and spectacular view of this luxury car was its dual colored leather upholstery developed with perfect mix of grey and dark blue color. Bentley 4.5 litre: This is one of the common cars driven by Bond in movies including Live and Let Die, Casino Royale and Moonraker. The above mentioned cars are not an end of car hierarchy driven by James Bond, there are few to mark their presence in list. BMW Z Series: There were two cars representing the Z-Series which were named as Z3 and Z8. The features offered in Z3 were convertible with stinger missiles along with self destruct system. Whereas the Z8 was the advanced version of its predecessor and could be changed into helicopter with brush cutter. BMW 750iL: Used in movie Tomorrow Never Dies, the car had features like rocket launcher, fingerprint protect safe, re-inflating tires, cable cutting instruments and few more. Lotus Esprit S1: The car was armed with exclusive features like missiles, mines, torpedoes studded on front grille, cement cannons, and black dye. It was showcased in movie The Spy Who Love Me. Lotus Turbo Esprit: Although it carried the same features as offered in Esprit S1, but it lacked the features like easy to drive inside the water. But, still it was offered with indispensable safety features that were helpful to protect Bond from kind of unexpected attack. The cars listed above are just few names which reflect the interest of Bond towards stylish, luxurious, and protective cars. Besides, there are various cars which are parked at the garage of James Bond. 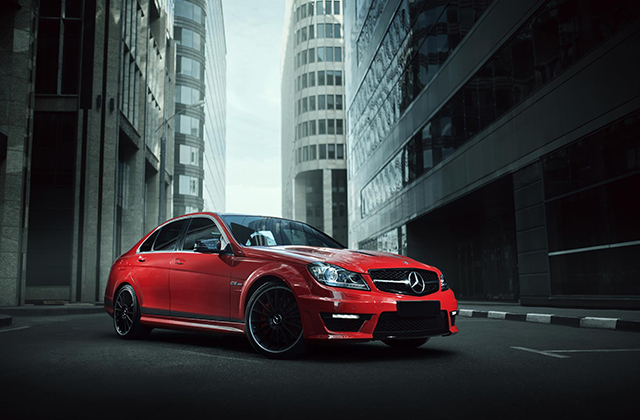 James Bond is the iconic name not only in the entertainment industry, but also in the field of luxury cars. Last year, in Spectre movie, Aston Martin unveiled a new car in India and Global named DB 10 which is also driven by the Bond. Short trips (<50 miles between charges). These sort of journeys are ideal for electric cars and plug-in hybrids, as the batteries will cope with the whole journey and also get some charge while you drive. A regular hybrid will still need to use the petrol engine, although how much depends on how you drive it and how much charging it is able to get along the way. Medium trips (50-100 miles between charges). These are the sorts of trips that give EV drivers plenty of stress, as the traffic conditions may mean you run out of juice before you make it to your charging point. A plug-in hybrid or regular hybrid will be fine because they can call on the petrol engine. In a regular hybrid, this means the car will be petrol powered for most of the journey. In a plug-in hybrid, it will be mainly electric with the petrol engine kicking in to top up the batteries if needed late in the journey. Longer trips (100+ miles between charges) Not feasible in a fully-electric car, as you will almost certainly run out of electricity before you get there. The regular hybrid is basically a petrol car for almost the whole journey and the plug-in hybrid is majority electric but supplemented by petrol in a far more efficient way than a regular hybrid. The pros and cons: Let's summarise the three types of electrically-powered cars: Regular hybrid (eg - Toyota Prius) PROS: cheaper, no charging required, no range anxiety, regular petrol engine makes it feel like a regular petrol car CONS: only very short journeys (a few miles at best) will be fully electric, small battery pack and weak petrol engine means relatively poor performance compared to a normal petrol car or a fully electric car, poor economy when driven hard (like most Prius minicabs in London...), not very spacious for passengers and luggage due to carrying petrol and electric powertrains in one car Fully electric car (EV) (eg - Nissan Leaf) PROS: powerful electric motor gives much better performance than a regular hybrid, larger battery pack means longer electric running, no petrol engine reduces weight and frees up a lot of space, £5000 government rebate, electricity is cheaper and usually less polluting than petrol, privileged parking spaces in certain public places CONS: Still expensive despite rebate, minimal range capability due to lack of petrol engine backup, resulting range anxiety is a real issue for drivers, question marks over battery life, technology advances will make next generation massively better and hurt resale value, some driving adaptation required, lengthy recharging required after even a moderate drive Plug-in Hybrid / range-extender (eg - Vauxhall Ampera) PROS: powerful electric motor and backup petrol engine give best combination of performance and range, most journeys will be fully electric which is cheaper than petrol, no range anxiety, privileged parking spaces in certain public places CONS: Very expensive despite rebate, question marks over battery life and resale value, wall socket charging is still slow, lack of space and very heavy due to having petrol engine and fuel tank as well as electric motor and batteries. Electric Car Economics - is it all worth it? For most people, an electric vehicle is difficult to justify on pure hard-headed economics. Even with a £5,000 rebate from the government, an electric car is expensive. A Nissan Leaf starts at £31,000, so after the government gives you £5K you have spent £26K on a car which would be probably worth about £15K if it had a normal petrol engine. That could conceivably buy you a decade's worth of fuel! And there are still question marks hovering over the long-term reliability of batteries and resale value, which may bite you hard somewhere down the line Electric Cars and the Environment Buying a hybrid or electric car because you think you're helping the environment may not be helping that cause as much as you think, if at all. Producing car batteries is a dirty and complicated process, and the net result is that there is a significantly higher environmental impact in building an electric or hybrid car than building a regular petrol or diesel car. So you're starting behind the environmental eight-ball before you've even driven you new green car. Beware of "zero emissions" claims about electric vehicles, because most electricity still comes from fossil fuel sources (like gas or coal) rather than renewable sources, so you are still polluting the atmosphere when you drive, albeit not as much and the effects are not as noticeable to you. If you have your own solar panels or wind farm to power your car, this is much more environmentally friendly. Range anxiety The biggest electric car turn-off for car buyers (other than the high purchase price) is the joint problem of very limited range and very slow recharging. In a petrol or diesel car, you can drive for a few hundred miles, pull into a petrol station and five minutes later you are ready to drive for another few hundred miles. In an electric car, you drive for 50-100 miles, then have to stop and charge it for several hours to drive another 50-100 miles. If you only take short journeys and can keep the car plugged in whenever it stops (usually at home or work), this may never be a problem. But you can't expect to jump in the car and drive a couple of hundred miles, or get away with forgetting to plug the car in overnight after a journey. You have to be much more disciplined in terms of planning your driving, and allow for recharging. Away from home this is still a big problem as there are relatively few power sockets available in public parking areas for you to use. A plug-in hybrid like the Vauxhall Ampera/Chevrolet Volt gets around the range anxiety problem, as does a normal hybrid like a Toyota Prius, but you are carting a petrol engine (and fuel) around all the time which you may not need, adding hundreds of kilos of weight and taking up lots of space, so it's a compromise. So as you can see from all of the above, it's not at all straightforward. You need to carefully consider what sort of driving you will be doing and what you need your car to be able to do. *there is a complicated technical argument about whether the Ampera/Volt's petrol engine directly drives the wheels under certain circumstances, but it's really boring and doesn't really make any difference to how the car drives. Stuart Masson is founder and owner of The Car Expert, a London-based independent and impartial car buying agency for anyone looking to buy a new or used car. Originally from Australia, Stuart has had a passion for cars and the automotive industry for nearly thirty years, and has spent the last seven years working in the automotive retail industry, both in Australia and in London.